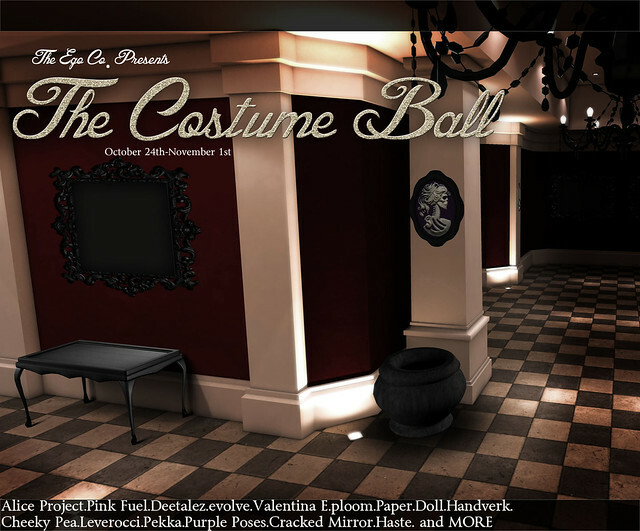 The Costume Ball | The Ego Co. The hosting sim will be “Fable”. The standards for the event will be on the higher side, entry means you will be in the company of designers that perpetuate a tasteful shopping experience. Contact for event management goes to BellaStarr Fhang and Zoey Gabardini. Opens October 24, 2012 at 12pm (noon) SLT – November 1, 2012 at 12am (midnight) SLT. Check back here for location information!